You gotta love Snapchat and its features. 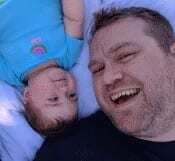 You can easily spend hours and hours adding all sorts of effects to yourself in real time. But, not everything is sunshine and lollipops with Snapchat, and there will come a time when you’ll have no choice but to block someone. Even if you don’t get along with technology very much, you’ll still be able to block any user you want and as many times as you want. The steps are beginner friendly, and if you have any questions, you can always leave a comment below. When you open Snapchat, and you’re on the camera screen, swipe right. You should be able to see all the chats you’ve had with your friends. Choose the “friend” that you want to block and tap on the hamburger icon at the top left. You’ll see various options, but the Block option you want is at the bottom. 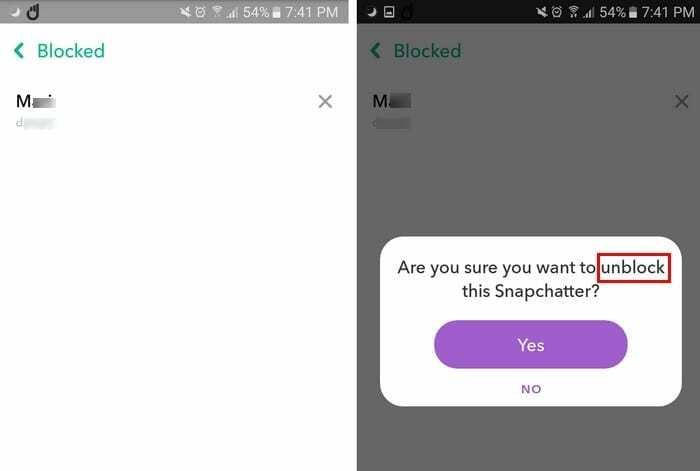 After tapping on the block option, Snapchat will ask you if you are sure that you want to block this user. 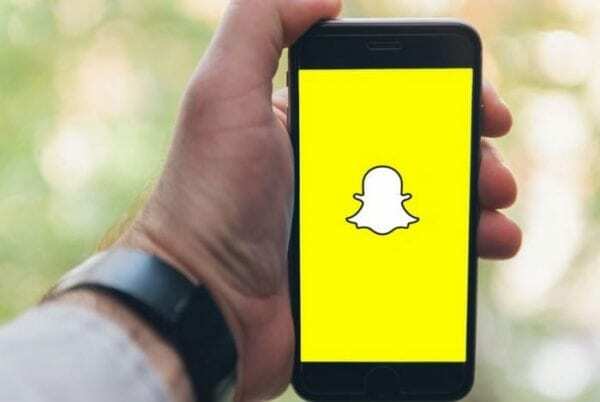 Tap on yes and that person will disappear from your friend’s list. 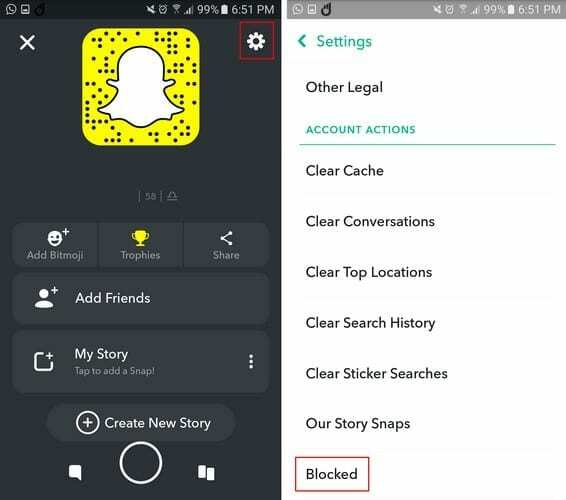 To make sure that the blocked user is now on the blocked list, tap on your profile picture. Select the cog wheel at the top right. Swipe all the way down to the “Account Actions” section, and there you’ll find the Blocked option. If the day comes when you’ve forgiven the person, all you have to do to unlock them is tap on the X to the right of their name. 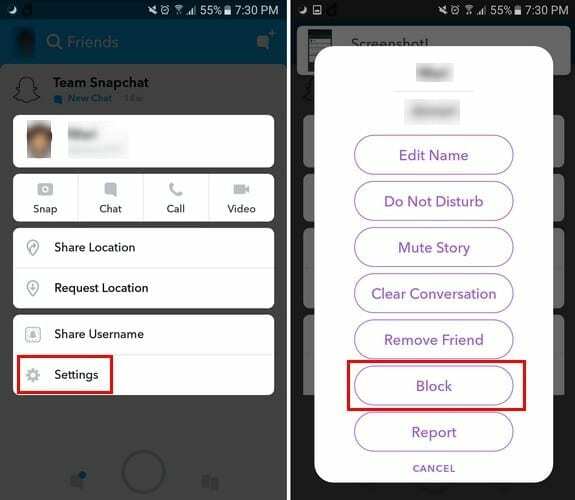 Snapchat will ask you if you are sure that you want to block this person, select yes and you and this user are now friends again. If the process was done correctly, the blocked user should disappear from the blocked list automatically. As you can see, blocking someone is a piece of cake. If a user is getting on your nerves, you now know that the process is quick and easy. It would be better is a user would get the hint that they are sending too many snaps on their own, but I guess you can’t win them all.